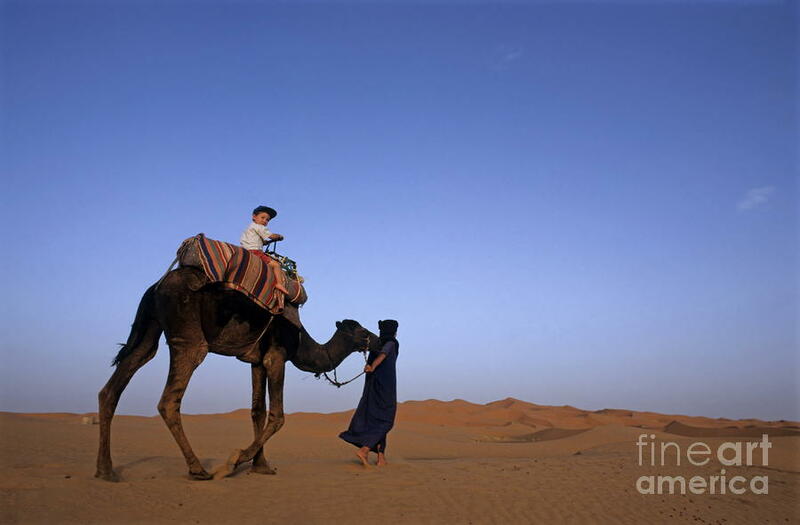 A man, his son and their camel are crossing the desert. Both father and son were pulling the animal along. As they reached the first village, some one said, "Why don't the man sit on the camel and let the son being young to walk the animal?" Without hesitation, the father climbed to sit and let the son to pull the animal instead. As they reached the second village, another stranger cried, "Poor little boy! The father should walk and the child should be sitting on the animal". Immediately the older man came down and let his son to sit on the animal now. When they reached the third village, some folks told them, "Camel is strong to take both man and child. Why walk when both can ride along on the animal". Accepting their idea, they both climbed on their camel quickly to continue the journey. Turning to the fourth village they were scolded by the entire villagers. They said, "Don't you have brain! You both enjoy sitting on top of the pitiful animal while she has to walk for miles. Don't you have heart for the tired camel". Both father and son were at lost. They didn't know who they should listen to now. Moral of the story: Have your own eyes and ears. Don't let others to dictate your thought. "If I have the belief that I can do it, I shall surely acquire the capacity to do it even if I may not have it at the beginning". i thought the moral was that you can't please everyone. You could be right too and thank you for reading my post.